Mercantile Bank Abdul Jalil Scholarship 2017 result has been published on the official website of Mercantile Bank. 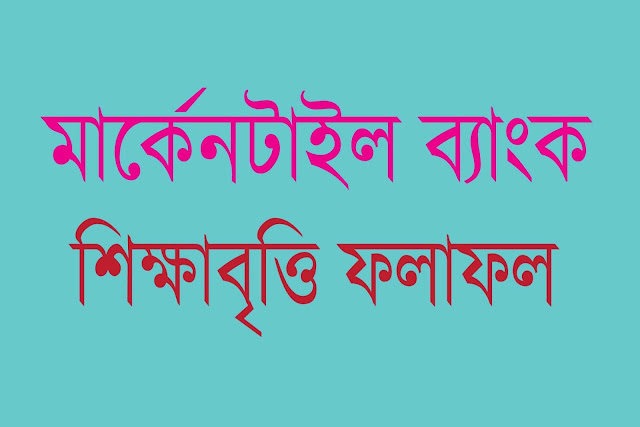 MBL Bank Scholarship result is given here according to area wise. In 12 areas, the scholarship has been distributed. But the authority only knows the real reason of how to divide these areas. We think based on our previous knowledge that the more poorer areas get more priority here. Congrats those students who achieved this MBL Bank scholarship. The students who do not gain this scholarship, try to apply to other bank scholarship. You will get all news about all scholarship and scholarship result on this website ofuran.com. Thanks a lot for being with ofuran.com. Please like our FB page https://fb.com/jobsnscholarship .